Successful data science and analytics projects should focus on the explanation and delivery of business impact – this requires strong collaboration between business analysts and data scientists. Preparing rich representative data from Hadoop and other sources is important, but data discovery and predictive analytics are equally valuable – they enable team members to quickly evaluate which events are drivers or inhibitors of success, and to predict future outcomes. Throughout the course of a project, how can organizations get value from Hadoop and other relevant data sources? How can data scientists prototype and operationalize models in a quick, productive, and easy-to-use manner? Wayne Thompson is the Chief Data Scientist at SAS and a globally renowned presenter, teacher, practitioner and innovator in the fields of data mining and machine learning. He has worked alongside the world's biggest and most challenging organizations to help them harness analytics to build high-performing organizations. 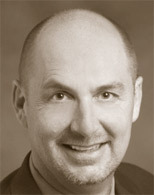 Over the course of his 20-year tenure at SAS he has been credited with bringing to market landmark SAS® Analytics technologies (SAS Text Miner, Credit Scoring for SAS® Enterprise Miner™, SAS Model Manager, SAS Rapid Predictive Modeler, SAS Scoring Accelerator for Teradata, SAS High-Performance Data Mining and SAS Analytics Accelerator for Teradata). Current focus initiatives include easy-to-use self-service data mining tools for business analysts, outlier detection and description, entity analytics, and recommendation engines with a heavy focus on SAS highly interactive in-memory analytics optimized for Hadoop. 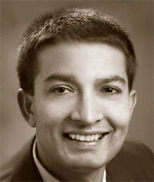 Tapan Patel is Product Marketing Manager at SAS. With more than 15 years in the enterprise software market, Patel leads global marketing efforts at SAS for Business Intelligence, Predictive Analytics, and In-memory Analytics. More specifically he leads go-to-market initiatives for SAS Visual Analytics and SAS Visual Statistics product lines. He works closely with customers, partners, industry analysts, press/media, and thought leaders to ensure that SAS continues to meet customer requirements and deliver high-value solutions. Prior to SAS, Tapan worked with HAHT Commerce, Inc. (now GXS) in roles involving product management, market research and competitive intelligence functions.